(A4O, 26 June 2014) ORTO journalist are being falsely accused of providing information to diaspora news organizations like VOA, DW, Seif, Eri-TV (Oromo), Oromo Voice Radio and the newly inaugurated Oromia Media Network (OMN). According to our sources, 17 Oromo journalists of the Oromia Radio and Television Organization (ORTO) have been forced out of their jobs as of June 25, 2014. The journalists say they have received no prior notices and learned of their fates on Wednesday morning (June 25, 2014) when the security at the gate prevented them from entering the station’s compound located in Adama. Members of the management informed the journalists that they could not help them as the decision to terminate their employments and the list of names came from the federal government. This firing follows a 20-day re-indoctrination seminar given to journalists and reporters of ORTO and workers of the region’s Communication Bureau. Main agendas for the seminar were the ongoing #OromoProtests and the upcoming election. Speakers at the seminar included Bereket Simon, Waldu Yemasel (Director of Fana Broadcasting), Abreham Nuguse Woldehana and Zelalem Jemaneh. It is difficult to say something about OPDO either they sold their soul or have no clue except gullibility. The situation of these journalists and, for example, the two artists from Ambo and Finfinee Universities are not gleeful in the heart of Oromo in their nation, Oromia, for lack of applying their profession and live with it, blocked from self-rule, and further exposed to damages; but for now, the heart of hopeless colonizer of Oromo and Oromia, the TPLF and its associate having armed, appears exercising their desperate power of narrow nationalist view so called-ethiopianism on the unarmed civilians. It is doubtful whether OPDO understands a subtle measure to dismantle OPDO itself after Oromo disempowered at various institutions including villages, universities, media so forth, otherwise OPDO should not enticed with being nominally included in the federal systems. What are those subtle onto those journalists so? TPLF and its associates, and the nominal or call it gullible agents (e.g. 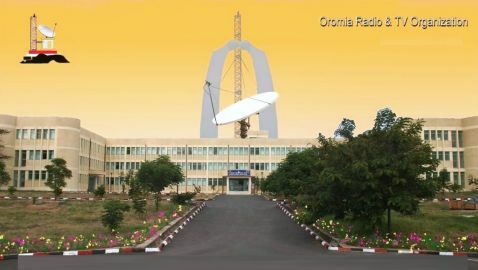 OPDO) are to change legal framework for Television and Radio from “agency“ to “corporation“. At corporation status, the federal will program the contents of the news, the composition of language that intend to diminish Afaan Oromo and the other`s but the colonizers one. For this, they possibly targeted to displace these journalists with theirs. Under the change, the licence and service fees of the media to be generated to the colonizers from the colonized nations. The move appears the colonizers will collapse OPDO finally. It is unwise for OPDO to not say no now with Oromo people. Oromo people have power now and if the OPDO marches toward self-rule in every aspects, at least, historically OPDO will represent Oromo and Oromia with OLF and Oromo. tplf continue eradicate oromos from thier father land.tplf run to execute the dream of melles “finfinnee”& its area belongs to new generation of tigray.